Wow we had such an amazing September! We had so much to say last month that I promised to keep it short and sweet this month. Mark your calenders for this year’s Holiday Open House Fiesta! Thursday, November 21, 2013 – more details to come in the November Newsletter. 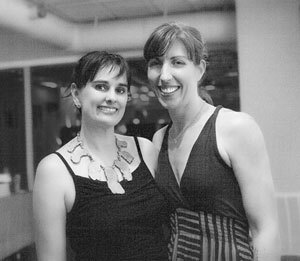 In case you missed it, we launched our awesome new website – www.RaspberryMoonST.com. I love it! We are still working on a few things. If you see anything that is not right or think we should add please let me know. Feel free to click on the Yelp button and the Google+ link and write a review. I would greatly appreciate it! You will notice that our newsletter has a new look too and you will be able to easily share on Facebook or with your friends. Thanks for helping me spread the word. THANK YOU to everyone that participated in our Forgiveness Events. Greenville Yoga and I are happy to announce that we raised $4,000 for The Julie Valentine Center along with a nice goody box of their wish list items and we donated $500 to The Forgiveness Project. I’ve learned a lot through these classes and Liz’s “Forgiveness through Yoga” class. I’m reading several books that I will be sharing later through blog posts. Liz told us about one of her friends that said, “I want to listen to the whispers of the universe so it doesn’t scream at me.” This really hit home for me. I feel like I have to get knocked across the head sometimes to “get it”. At 35 Therese has finally found herself – the long awaited college degree, the high school teaching job, the new husband, two nearly grown children, and four stepchildren. For once, she anticipates a normal life, but a middle of the night phone call changes all of that. Her younger brother, while out of town on business, is shot and killed. Steve’s death sends her life into a tailspin of grief and a crippling depression. She becomes the glue that holds her eccentric family together. This collection of essays, set in North Carolina, follows Therese as she comes to terms with the untimely and violent death of her brother. Never have the shortcomings of her family been more apparent. Steve had been the balance to it all; he had been the “normal one”, and now Therese is left with the mother who always has a joke, the father who can’t show affection, the ex-drug dealing brother who now is an evangelical Christian and the talking bird she inherits from her brother. 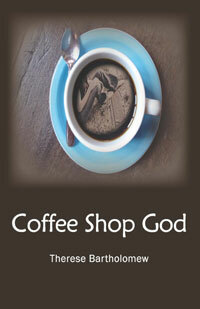 The Coffee Shop God written by Therese Bartholomew is available at the shop for $12. Dining For Women is a charity started here in Greenville, SC by a friend, Marsha Wallace. Their charity for this month is Foundation Rwanda. One of the panels from The Forgiveness Project was about Rwanda – An organization that was started after the 1994 Genocide called SURF. SURF also works with Foundation Rwanda and I thought the coincidence was enough that I should share the great work that was started here locally and has expanded internationally. I went to my first dinner meeting this past Friday and it was really interesting. I had a great time and met some very nice ladies. If you feel inclined to support any of these great organizations, I’m sure they would appreciate it. With summer being over and fall and the holidays right around the corner now is the time to start working on your skin. To help give your skin a boost we are offering a great special on our Sakar or Cleopatra Peels – your choice! This series of 6 peels must be used by March 2014. Read more about the peels on our website. Ideally these peels should be done every 2 weeks but can be done up to 4 weeks apart. So take advantage of the deal and have all 6 this year for amazing skin just in time for the holidays or space your series out for 6 months, the choice is all yours. You will also receive a Trial Size of custom pre and post skincare kits based on your skincare needs. As an added bonus, you will be able to purchase full size retail of all Saucy Chica Skincare Products for 20% off from now until March 2014. This offer is a $480 value for only $280 – save $200! This offer must be purchased through button provided below. This special will be active from October 3rd to October 4th only. Be sure to share the love with your friends and family! December 8th, 22nd, and possibly the 29th. I will be in PA from Monday, December 23 to Thursday, December 26th – returning to work Friday, December 27th. Please be advised, there are 13 weeks left between now and Christmas. I know, I know, but I am just saying…plan accordingly.